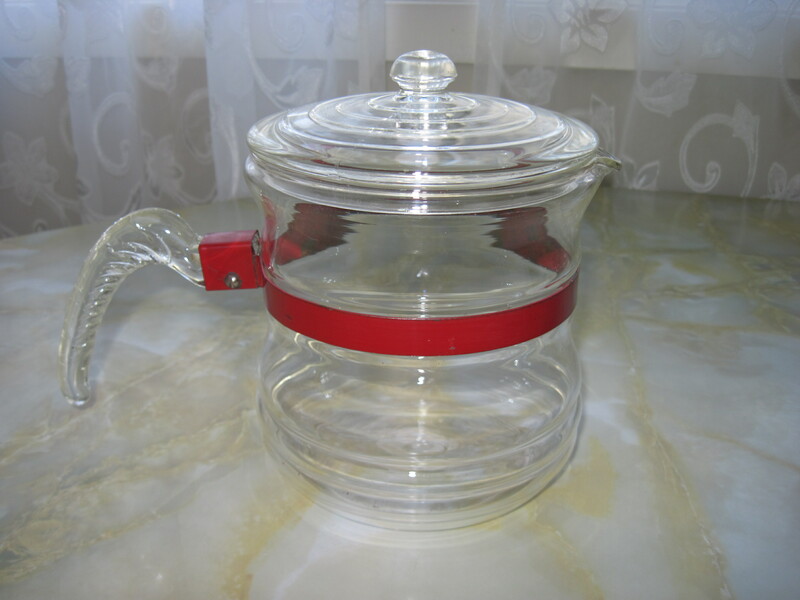 Glasbake glass coffee maker ca. 1940’s or 50’s. Has a painted red metal band holding the glass handle in place. For sale in my booth at the Almonte Antique Market, 26 Mill St., Almonte ON. Price $ 35. Please note this item is now SOLD!! !